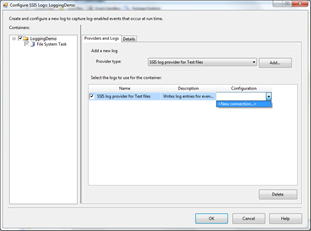 « Self Introduction in 3rd person in BLOG ?? Or it is actually written by another person ?? 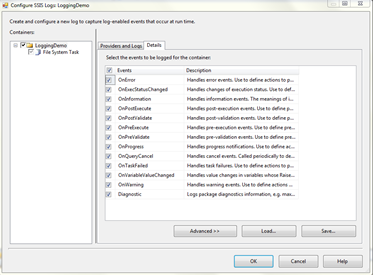 Once I selected logger type, then click on ADD. 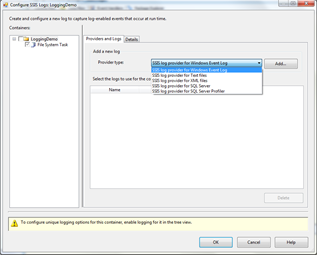 It will add logger into table below and next steps are to configure connection for that text log file. 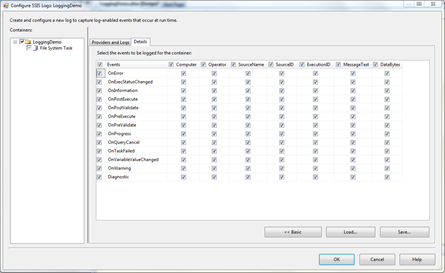 For that I just need to create new file connection and create a file to some desired location. 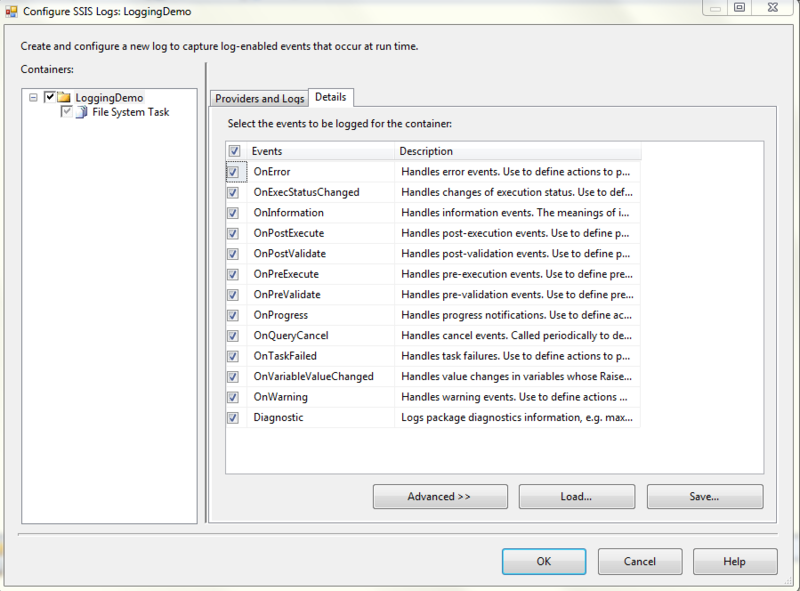 And this is the end of logger configuration for me. 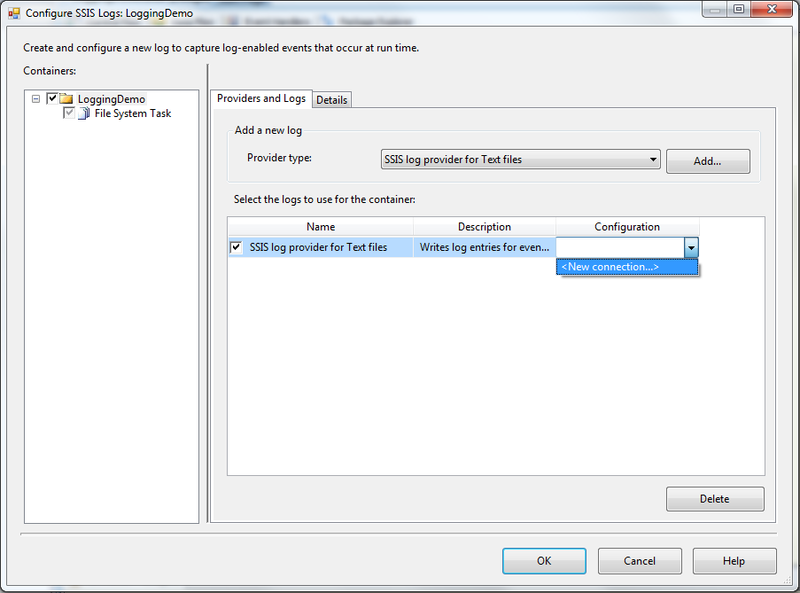 Now when I run SSIS package, it will log each and every events because I selected that I wanted to log all events. 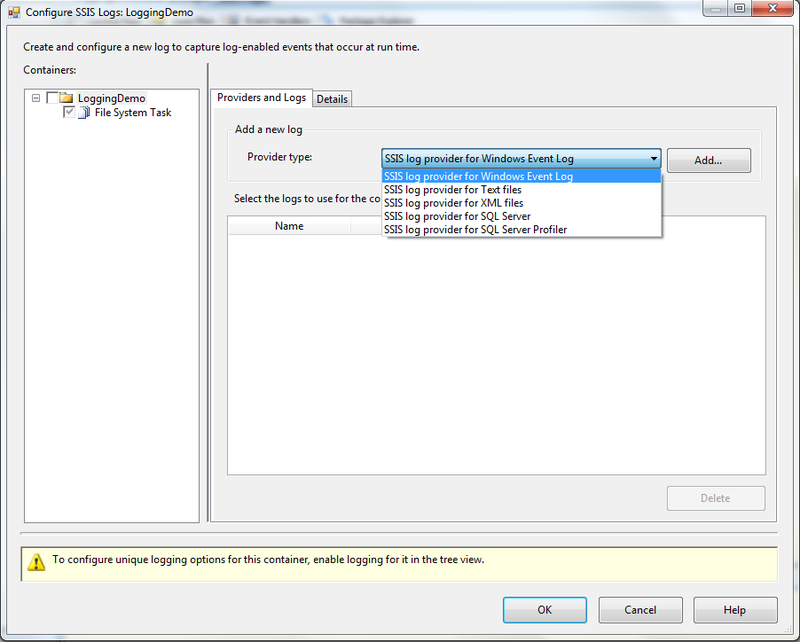 As it can be seen here, it is really easy to create logger for SSIS package and it can be really handy when we face some error and we wanted to find more details about that error. That’s it for now. I have uploaded this demo file over server for download. 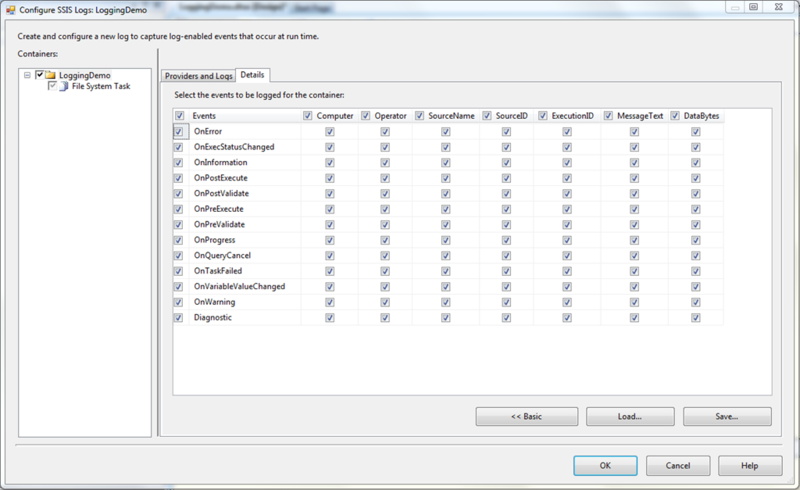 This entry was posted by Gaurang on January 19, 2012 at 10:36 pm, and is filed under How To, SSIS. Follow any responses to this post through RSS 2.0. You can leave a response or trackback from your own site.